Will the closure of the 405 freeway (aka “carmageddon”) cramp L.A.’s museum style this week? Well, as far as the city’s museums are concerned, no way! 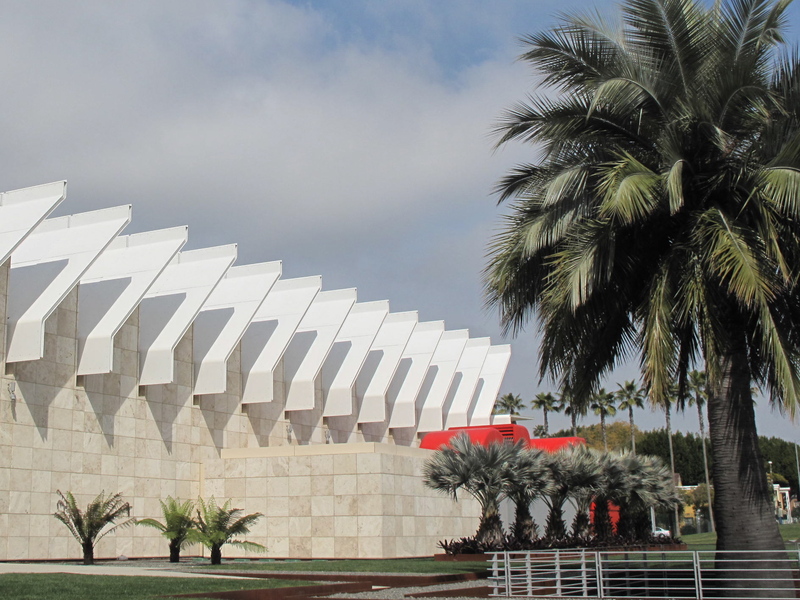 L.A. museums will be open during the 405 closure July 16 & 17 with the exception of two. Due to their 405 freeway adjacent locations, the Getty Center Museum and the Skirball Cultural Center will be closed this Saturday and Sunday. But as this week’s calendar shows, there are still plenty of family activities in Los Angeles to enjoy. In fact, if you live nearby, L.A. art museums may be a peaceful cultural oasis away from possible traffic gridlock. If you live around the Miracle Mile district, for instance, you can walk or ride your bike to several museums to see current exhibitions like “Tim Burton” at LACMA, and “Ann Weber: Love and other Audacities” at the Craft and Folk Art Museum. Week of July 11-17: Highlighted programs indicate special programs for this week only; or repeating programs that feature a new theme, performer, or movie each week/month. All other program listings repeat daily/weekly throughout the summer. Always click on the link of any activity you plan to attend for program details, and to confirm the date and time. Museum schedules can, and do change, from time to time. And be sure to subscribe to this blog to get an email copy of this calendar every week. Daily, except Mondays and July 16 and 17. Drop-in during Museum hours. Thursday, July 14: 1:00–3:00 p.m. Dig It! Archaeology Adventures: an archaeological simulated dig activity. Free with general admission; seating is limited. Tickets available one hour before program. North Piazza, Free with NexGen membership, no reservations. FAMILY FESTIVAL: “Who Says a Poem Has to Express How You Feel? View and discuss works of art and create poems. Posted in Calendar Picks. Tagged as art, art museums, families, family activities, kids, kids activities, L.A., Los Angeles, Museums, things to do in L.A.